Extensively trained in this procedure, Dr. Cross is the only specialist in Illinois to follow every detail of this microscope based procedure. 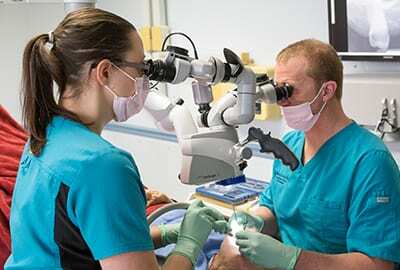 The pinhole surgical technique is a microscope-based periodontal approach to correcting gum recession. As with a traditional connective tissue graft, you may be a good candidate for the procedure if your teeth appear longer than usual or your dental roots are visible. Most Springfield patients will receive a traditional graft instead of the pinhole approach since the pinhole only offers advantages in a few specific cases. If you fit one of these cases, however, you will benefit from treatment with Dr. J. David Cross. 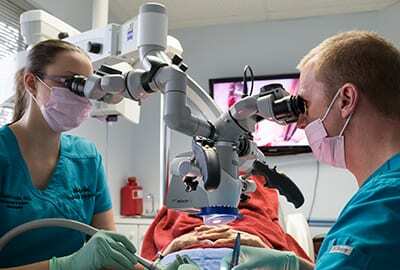 Dr. Cross is one of the few practitioners who follow the precise protocol of the pinhole surgical technique in Springfield and the Midwest region. He has completed certification in the surgery so that patients can receive the individualized and advanced care they deserve. 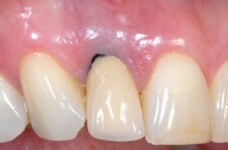 The pinhole approach is a method for re-covering areas exposed by receding gums. The goal is to improve the esthetics of your gum line and prevent future tooth and bone damage and disease. 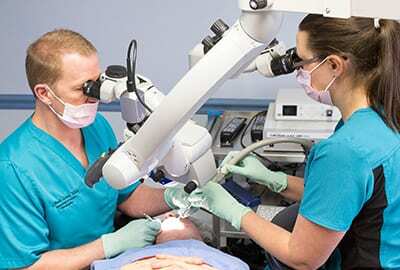 In the procedure, Dr. Cross uses special instruments to work your existing gums over the area of recession. He then stabilizes the gums using small pieces of collagen. The surgery does not require using graft material from your own palate. Springfield patients who have had the pinhole surgical technique with Dr. Cross report a comfortable experience and a relatively short recovery. His use of the surgical microscope allows him to work efficiently, at a high level of detail, and with the highest precision possible. He uses tissue from the palate to create results that match the shape, color, and natural topography of the gum line. The outcome is very effective against future gum recession. Patients experience almost no discomfort following the procedure. Dr. Cross only recommends the pinhole surgical technique for Springfield patients who have just a small amount of tissue to donate for grafts. 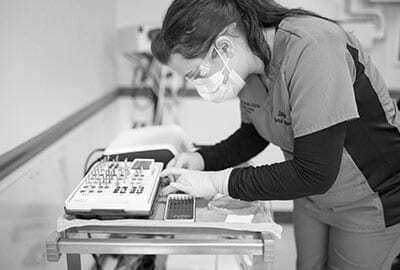 For example, those who have recession around a dental implant may require more donor material than Dr. Cross can collect from the palate. Since the pinhole surgical technique reworks your existing gums and supports them with collagen, this isn’t a problem. Before any procedure, Dr. Cross will take the time to explain the treatment and answer any questions you have. 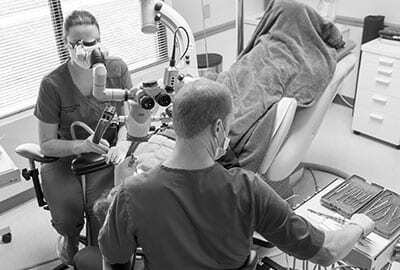 Comfort, safety, and high-quality outcomes are priorities for his practice. His staff will also help make your visit as anxiety-free and welcoming as possible, particularly on the day of your procedure. Dr. Cross will use an anesthetic jelly on the treatment area. This will significantly reduce sensation so that you shouldn’t feel anything when you receive the local anesthetic injection. Working with a surgical microscope, Dr. Cross will use specially designed instruments to maneuver your gums down over the recession. He will place small pieces of collagen into the gums, and this will promote reattachment of the gingival gums to the roots. The procedure may require the application of extremely small sutures that allow the site to heal in an effective and esthetically pleasing way. You will receive more extensive post-care instructions, but generally, you should rest for 1-2 days afterward and avoid brushing or chewing food on that side of your mouth for a few weeks. Expect to return to Dr. Cross’ office for check-up visits every four weeks for about six months. 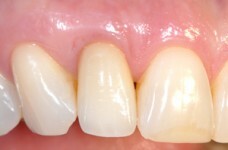 By the time you have healed fully, your gum line should look natural, even, and symmetrical. 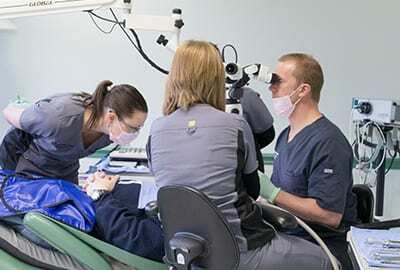 If you are experiencing gum recession or are just concerned about your oral health, learn whether you are a candidate for a microsurgical connective tissue graft or the pinhole surgical technique. Schedule an appointment with Dr. Cross’ Springfield practice online or by phone at 217-793-0196.